Mountain climbing might seem like a sport reserved only for the fittest, and the most daring, but despite being a technically challenging activity, it is actually suitable for people of diverse age groups, fitness level, and is certainly beneficial for health. The key to getting comfortable with a sport like a mountain climbing is practicing it, which also helps build stamina and fitness every time you try it. Mountain climbing can become an excellent stress buster, an activity to relax the mind, and to challenge your potential.Without further ado, here are some of the greatest health benefits of mountain climbing. Mountain climbing requires extensive use of leg and thigh muscles as well as muscles in the arms and the back, thus toning these body parts down and keeping the muscles healthy. Mountain climbing is also a wonderful cardio workout, and the activity helps increase blood circulation around the heart. Physical activity, especially demanding sports like mountain climbing, is useful to distress one’s cluttered mind, as the hard work put in by the muscles keep depressing and stressful thoughts out of mind, and the exercise releases endorphins such as serotonin. Climbing up mountains also requires some technical understanding and skill, so strategizing on how to proceed with the climb keeps the mind positively occupied throughout the activity. As it is an activity in the open air, mountain climbing will help you to re-establish a healthy relationship with nature. The clean and pure air of the mountains is relaxing and purifying for the human body as well as for the human mind. The simple but beautiful natural surroundings are pleasing to the heart. Many people take up challenging sports like mountain climbing to confront and defeat their fears, which is actually a very good idea. With mountain climbing being such a fear overcoming activity, it is healthy to challenge yourself if you fear heights or simply want to test the boundaries of your spirit. Mountain climbing in groups and communities on tested, safe mountains is just challenging enough to be considered as an adventure unless you aspire to reach greater, more ambitious heights such as famous peaks like Mount Everest. In that case, may you defeat all peril and be guided by the Mount Everest bodies landmarks. These are actually bodies of mountaineers who died up there but don’t worry, they’re still there to guide you. Mountain climbing is encouraged as a group sport, not only because other people are there to get help in case anything happens to one individual, but also because working together on a strategy based sport like this brings people closer, and forms strong bonds. Mountaineering communities are active all over the world, and many people find it easy to connect over the sport. One does not have to aim right for climbing mountains in the beginning- there are plenty of exercises to ease into the sport, and simply walking on slightly mountainous terrains, like hills, is also useful. 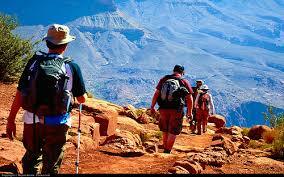 By doing so, you can prepare yourself for the real fun and thrill of mountain climbing.